The Affordable Housing Committee has finished updating the town's 1988 affordable housing plan. 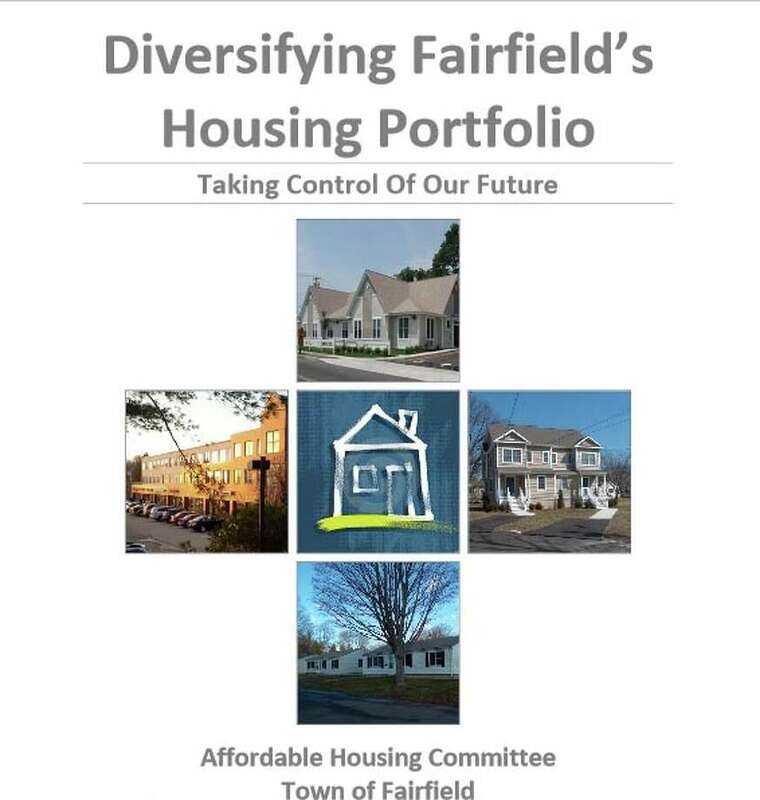 The town's Affordable Housing Committee has finished its update of a 1988 housing plan and its new report, "Diversifying Fairfield's Housing Portfolio," includes ambitious proposals. The Board of Selectmen recently received a presentation on the new plan, but took no vote on the plan. However, a vote is not needed. "There is an expectation that this will be a reporting mechanism," Community and Economic Development Director Mark Barnhart told the selectmen. "At some point, the support of this board will be very meaningful in our conversations with others." A diversified housing stock, according to the report, is needed to meet the needs of all the town's residents at diverse stages in family life and income. "It makes for a healthy community," Barnhart said. Secure a moratorium from the state's 8-30 (g) law, which assigns the burden of proof to municipalities that deny development applications for housing projects that comply with affordable criteria. To be exempt from the 8-30g provisions, a municipality's affordable housing must represent 10 percent of its overall housing stock. In Fairfield, however, that number is roughly 2 percent. Establish a housing fund through creation of an inclusionary housing fee imposed on all zoning permits for new building construction or additions. The fund would be used to support the town's housing initiatives. Adopt an inclusionary zoning regulation, requiring any new development to include affordable housing units or pay a fee into the housing fund. Adopt an incentive housing zone. "I think they're very doable," First Selectman Mike Tetreau said. According to the plan, the creation of new units doesn't necessarily mean new construction. It could entail converting an existing building, such as was done with the Sullivan-McKinney Elder Housing complex located within a former school, or changing existing homes to affordable, as was done when the town purchased the former Navy housing off Reef Road. Tetreau said Superstorm Sandy dealt a blow to the town's housing stock, with many older owners of small Capes in the beach area unable to remain after the storm. Many of those properties were sold and the homes demolished, with larger, elevated and more-expensive homes that meet Federal Emergency Management Agency regulations built in their place. "One of the tragedies of Sandy is we are losing a neighborhood that is ever less affordable," Tetreau said. Steve Grathwohl, chairman of the Affordable Housing Committee, said the group hopes the plan "is like a living document, and we get to make it better every month." Grathwohl said the town has a growing need for more affordable housing options. "We need to be proactive," he said. "We need to work on the solutions ourselves." Some of the action items are based on what has been done in other towns. For example, Trumbull's accessory apartment regulations require the apartments to be deed-restricted for at least 40 years. Permits are reviewed for renewal every five years to ensure compliance. In Westport, an inclusionary housing overlay district was adopted. Areas eligible for the zoning district are parcels that are partially in residential zones and partially in non-residential zones, and 20 percent of units built must be deed-restricted as affordable. New Canaan created an inclusionary zoning fee that collects $10 for every $1,000 of construction value of all new construction and exterior additions. The money goes into a housing fund that is then used to build, repair or rehabilitate housing for low- and moderate-income residents. Fairfield's housing plan can be found at www.fairfieldct.org on the Community and Economic Development Commission's page.